Noticed something about your pool that looks different, but it doesn’t appear to be a serious concern? Sometimes, pool owners encounter common issues – but these issues can be symptoms of larger problems. So what are the swimming pool issues that you should never ignore? Today, we explain the top five. When chlorinated water dries, it leaves a white, chalk-like residue. If pool owners see this residue, it is a sign of pool water in the area. If pool owners see the residue in areas where water should not be, such as on the outside of pipes or running down the side of the pool filter, that would indicate a leak. Even small leaks need to be repaired as soon as possible – before they get worse. It is easy for pool owners to miss big leaks, too. However, leaks are a significant problem and need to be repaired as soon as possible. Ignoring a leak can lead to extremely costly repairs down the road. Pool coping and tiles work as a system to control water, blocking it from going where it does not belong. If coping or tiles crack or pop off, then the water can get behind them – or behind the pool’s concrete shell. Then, this water can cause significant damage, destroying more coping and tiles, as well as the pool itself. There is a whole range of stains that can appear in your pool, and each indicates a different issue. For example, blue, brown, orange, and red stains suggest metals in the water. The metals could be coming from the source water or from pool equipment breaking down due to chemical damage. The challenge with pool stains is that, without knowing the reason for the stain and how to test it, resolving the problem that caused the stain can be nearly impossible. That is why we suggest that homeowners who see stains in their pools call a professional pool company as soon as possible. 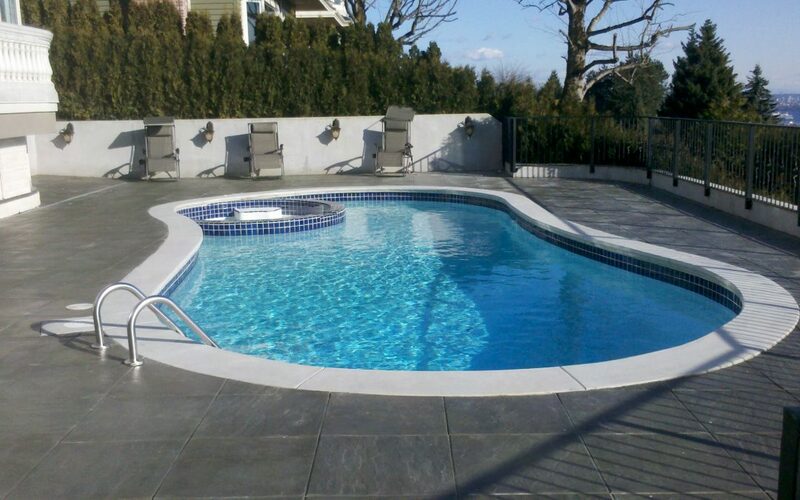 Cracks in a pool deck may not seem like a major issue. Like many of the other issues in this list, however, these cracks are often a sign of water where it should not be. Look at the area near the crack. Is there a pipeline under it? If so, this pipeline is likely leaking. Any leaking water could get behind the pool wall or even in the fill under the pool. If the fill is compromised, a variety of pool components could break or fail. As a pool owner, how do you avoid devastating issues? First, stay on top of maintenance. Then, if you see any of the problems listed above, get in touch with a professional pool repair company as soon as possible in order to fix seemingly small swimming pool issues before they become major issues.